Both apparent and hidden, business signage is around you at all times. You might be at home and look out the window to see a yard sign advertising a realtor nearby. You could walk through the grocery store and see flyers and ads claiming a certain product is best. Or maybe you’re driving into work and count the number of promotional banners you see hanging from lampposts. 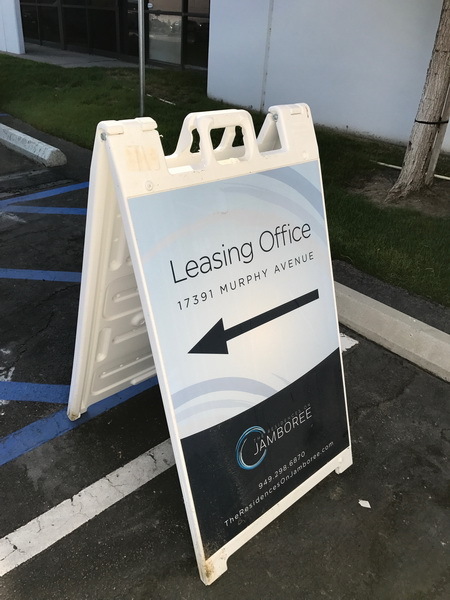 What does your current signage situation look like at your place of business? 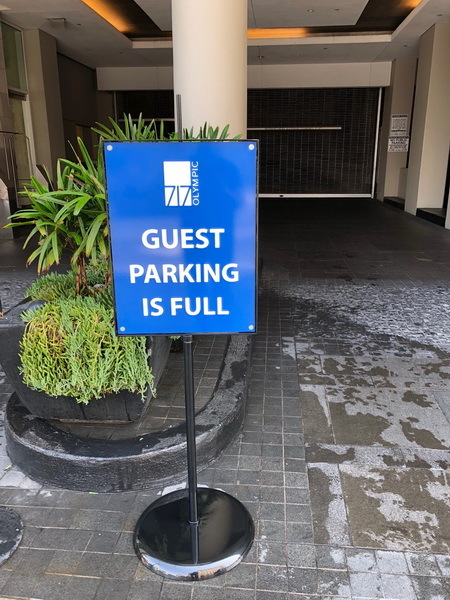 Is the outside empty or lacking? Does your interior design do too much, often confusing your customers? Do they understand the goals of your business, or do you frequently get asked what it is your company does? 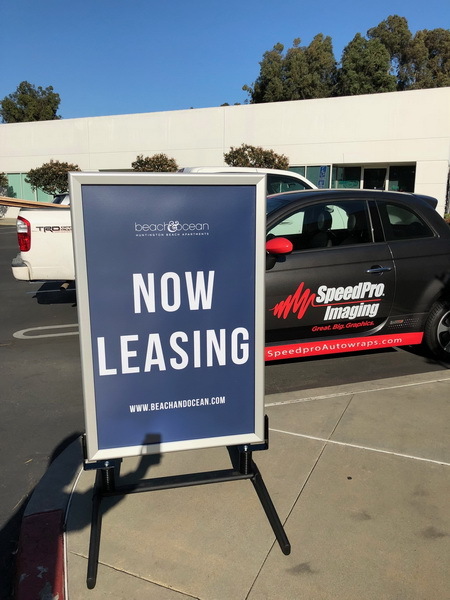 SpeedPro Imaging Coastal OC is aware of how important custom business signage can be for the functionality and profitability of your organization. After all, signage is a way to inform, direct, guide and share with your customers. If your business needs some new signage features for your office or building, reach out to our team today. Our studio offers service to companies operating in Huntington Beach, Fountain Valley and Garden Grove. 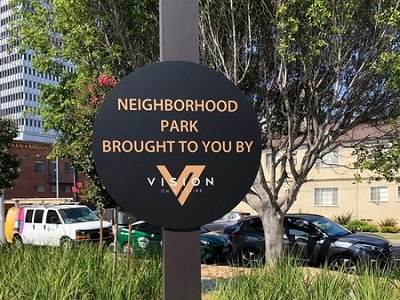 Adding custom business signage that’s consistent inside and out to your property allows your customers to connect with your mission. For strictly outdoor purposes, sidewalk signs are incredibly useful. Two of the more popular models include A-frames and H-frames. A-frames sit like a tent, often made of durable materials like wood or metal. 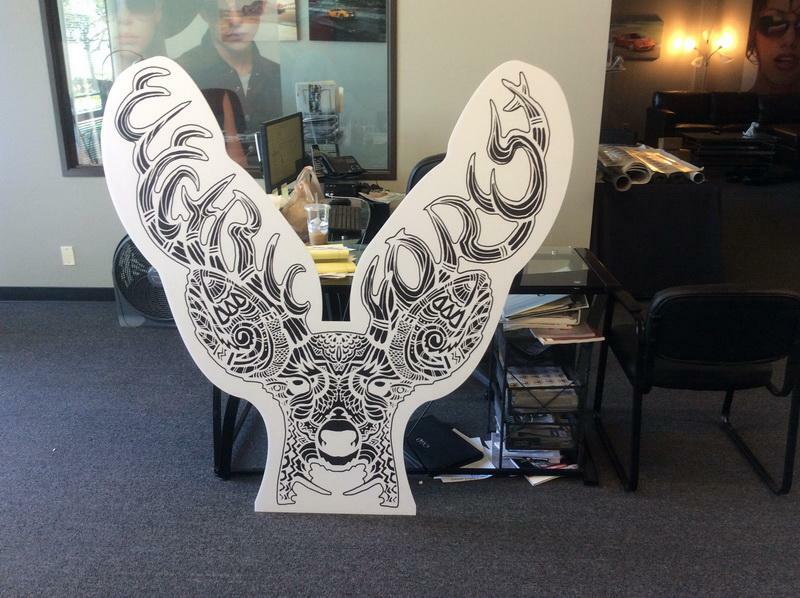 You can use them on your patio or sidewalk to greet customers — display a fun or quirky message, and you might intrigue them enough to convince them to come inside. H-frames are ideal for sitting in a yard near the road, especially if there’s a drive that leads back to your building away from the street. They can greet customers and invite them to move closer to see what you have to offer. At SpeedPro Imaging Coastal OC, we use color-matching technology when we print your designs. 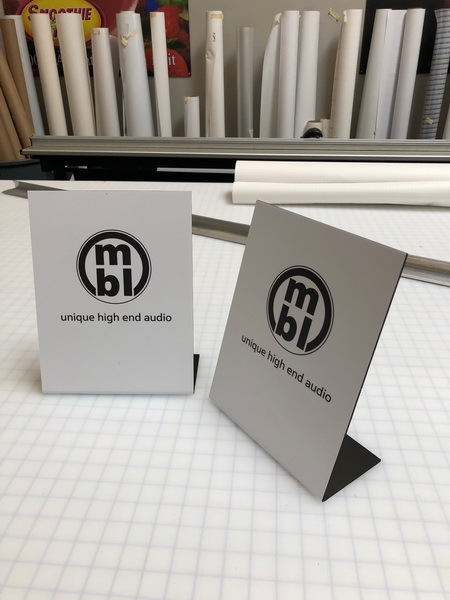 As a result, we’ll be able to pinpoint the colors and inks used for your other signage to make sure your new commercial signage will blend in and not stand out in an unwanted way. Keeping your color scheme consistent will create a seamless transition from the outside to the inside — a perfect experience for the customer. 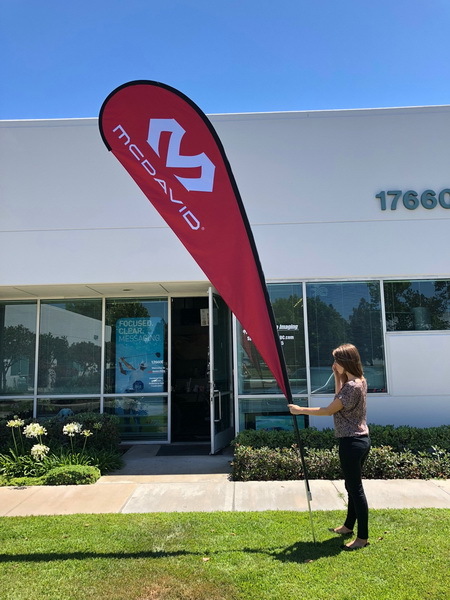 Updating your outdoor and indoor business signage designs can be a lengthy process, but at SpeedPro, we’ve got you covered every step of the way. Call us today to learn about the high-quality visual solutions we can generate for you.